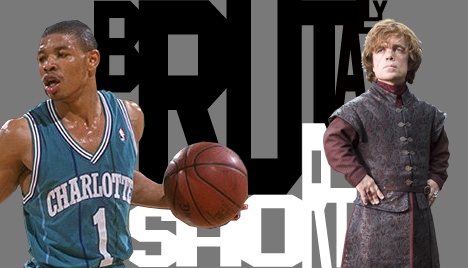 Welcome to another edition of Brutally Short, the not at all gimicky or lazy feature where we at Brutalitopia compile a group of reviews that are far shorter than our normal, endless word vomit. The albums contained in Brutally Shorts aren't here because they're bad; quite often there are albums here that deserve far more words from far better writers because of how good they are, we just either didn't see them until now, forgot to write about them, we had a child and the responsibility of caring for a newborn person takes up, like, an inordinate amount of time, or (usually) spent another week rewatching Parks and Recreation on Netflix while drinking scotch instead of actively working to run a blog. No one said we're good at this. The scotch you're drinking... tell me more. In this edition of Brutally Short, all of the albums are incredible - like some of the best albums of the year incredible - spread across multiple genres and styles, united only by my wanting to finally write about them after weeks and months of listening to them. 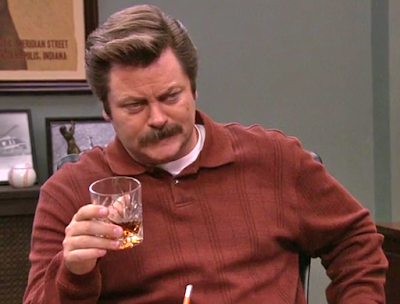 And, as long as I'm admitting how bad we are at running a metal blog, one of them isn't even a metal band. Like at all. So that's fun! On to the reviews! I enjoyed Cormorant's 2011 album Dwellings so much that I completely missed their next album, 2014's Earth Diver. Thankfully my ignorance only lasted six years, because Diaspora is one of the best albums of the year, a rip-roaring ride of black and death metal turned upside down and inside out by the band's more progressive tendencies. The highlight is without a doubt "Migration," the album's twenty-six minute closer that begins with quiet, mournful guitar notes, takes a detour to a more doomy sound, jumps up to an absolute banger of a death metal jam, makes a stop in more progressive, mellow territory... the song is pretty much Cormorant playing through musical styles like those guys in the YouTube videos, only infinitely better. And that's just the last song; the three songs that make up Diaspora's first half are also really, really good. Hopefully you didn't lose Cormorant into the ether of bands you've heard and liked like I did, and hopefully you've already heard Diaspora and are continually reveling at how grandiose and incredible it is like I am... but if you haven't, you need to. 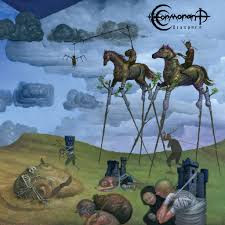 Cormorant have quietly (to me) become one of the best progressive metal bands working right now, and Diaspora should serve as a coronation of that fact to all of metaldom. I made a lame joke in my review of Elder's terrific Reflections of a Floating World about how good Falls of Rauros' Vigilance Perennial is, and I've felt bad about it ever since. Not because the joke was bad, but because this album deserves way more praise than that. 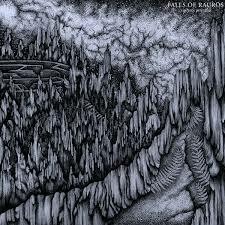 Falls of Rauros have quietly been one of the best American black metal bands of the last few years. Vigilance Perennial continues this excellence, blending black metal and quietly beautiful musical passages into something unique. The final two songs on the album, "Arrow and Kiln" and "Impermanence Streakt Through White Marble" are two of the finest songs Falls of Rauros have written, deftly moving between savagery and delicateness, with a beauty so often missing in black metal woven into all of it. Dutch rock band GOLD is the one band in this roundup that I had never heard of prior to hearing their newest album. 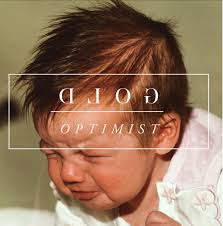 Optimist is a doomy, shoegazy album with a bit of a punk rock kick to it, like a post-Diamond Eyes Deftones album's ambiance mixed with a pre-White Pony Deftones album's adrenaline. There are a lot of cool moments on the album, but the absolute highlight is opener "You Too Must Die;" Tim Meijer's bass line begins the track alone, before Igor Wouters' pounding drums kick in; it's nearly two minutes before vocalist Milenia Eva sings a word, and the effect is chillingly foreboding, foreshadowing a beautifully discomforting five and a half minutes. Even though the rest of Optimist doesn't live up to "You Too Must Die," it's still a great album; it just happens to have its best song first. The triple guitar attack of Thomas Sciarone, Kamiel Top, and Jaka Bolič create absolutely fantastic textures that are sometimes in your face and vivid, sometimes subtle, but always effective, and Meijer's bass tone goes a long way toward giving Optimist its melancholy vibe. Co-MVP honors have to go to Eva and Wouters' though; Eva's vocal range and texture stretches the band's sound vertically, and Wouters' snare and cymbals really, really pull their weight. This was a really cool find that I hope more people enjoy. 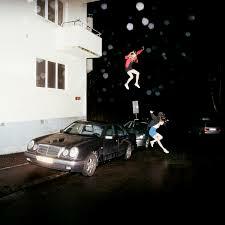 There's absolutely no argument I can make to rationalize my inclusion of Brand New's Science Fiction on a metal blog, so you'll just have to settle for "I'm writing this post, and I want to write about Science Fiction, because I love Brand New, and we weren't even supposed to get this album, let alone have it be this good!" Jesse Lacey and Co. return for their first album since 2009's Daisy with their final album (I believe them when they say they're quitting next year). It's an album that simultaneously sounds exactly like Brand New while also stretching into different directions; it's quieter and more introspective at times, but they also hit the gas and crank up the energy when it fits. Lacey's sometimes uncomfortably honest lyrics are as on point as always, and his voice - one of the best ever in rock music - can still convey just as much emotion with a mumbled whisper as a throat-shredding scream. Science Fiction is Brand New at the top of their game; I don't know if Science Fiction will supplant The Devil and God are Raging Inside Me as my go-to BN album, but Devil's got ten years of history on SF, so that's not fair; I do know that SF is just as good musically as Brand New's iconic classic. If nothing else, Brand New have crafted a swan song no one expected to ever see the light of day that is the best final album since Altar of Plagues dropped Teethed Glory and Injury. And you should listen to it.